Ten years and change later, Pitchfork can officially STFU. “Scheherazade,” the first Freakwater album since “Thinking of You,” maintains the singular harmonies and mind-bending lyrical twists that have come to typify Freakwater — there are even plenty of the band’s patented dead-baby references, though if I’m doing my textual analysis right, the “baby” thrown down the well in the leadoff track may not be what it at first seems. But musically it strikes out in unexpected directions, with one track (“Down Will Come Baby”) pairing Irwin’s banjo with a psychedelic guitar rave-up, while others seem to owe a debt to the carefully calibrated dissonance of Bean’s other band, Eleventh Dream Day. The current Freakwater tour takes that spirit of experimentation out on the road, bringing along slide guitarist Morgan Geer (Drunken Prayer, The Unholy Trio), fiddle player Anna Krippenstapel, and drummer Neal Argabright(Jaye Jayle) to augment the core trio of Bean (guitar, vocals), Irwin (guitar, banjo, vocals), and David Wayne Gay (bass). Their set at Bell House — where they last previously appeared in 2013 performing their classic LP “Feels Like The Third Time” for its 20th anniversary — featured nine of the eleven tracks from “Scheherezade” (Geer performed another, his own “Missionfield,” during his opening set), including subtle gems like “Skinny Knee Bone” and “Velveteen Matador” (speaking of songs in need of deeper textual analysis); plus several Freakwater classics (highlighted by the chill-inducing “Cloak of Frogs”) and a Fairport Convention cover to close out the show. They still have a couple of weeks left on the road, so if they’re coming through your town, be sure to catch them before they disappear again — hopefully not for ten years this time. This recording was mixed from a soundboard feed provided by the Bell House soundfolk (Nick and, um, I really need to start writing these names down), along with AT-853 cardioid mics mounted at the front of the soundboard. Feel free to re-edit the tracking to separate out several long sections of banter into your own Freakwater comedy album. More Freakwater news, tour dates, and other stuff at: http://www.freakwater.net/ Like Freakwater on Facebook. 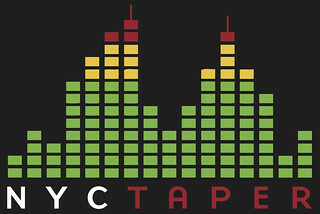 Thanks to the entire NYC Taper crew for recording and posting this show. This is a great recording of a great performance and I’ve had this in high rotation for weeks now! Thanks so much for this! I love it. The correct title for Track 5 is “Cheap Watch”. Thanks for providing this recording! Thanks for enabling Freakwater’s distant fans (Australia) the pleasure of experiencing their recent tour (albeit only aurally).